Sports Toto Malaysia Sdn Bhd (Sports Toto) is pleased to announce that the 28th annual Chinese New Year (CNY) Ang Pow Donation Campaign will be held from 21 to 28 January 2016, targeting to benefit more than 17,000 needy senior citizens nationwide. The donation campaign, which is only open to senior citizens aged 60 years and above, will be launched at the Stadium Badminton Kuala Lumpur, located at Batu 3.5, Jalan Cheras, Kuala Lumpur on 21 January 2016 (Thursday). "The CNY Ang Pow Donation Campaign is Sports Toto's biggest Corporate Social Responsibility (CSR) project of the year, which we have organized for 27 years without fail. We expect to receive over 2,500 senior citizens at the campaign launch on 21 January 2016," said Sports Toto's Communications Manager, Giam Say Khoon. Sports Toto advises all qualified senior citizens, who will be joining the campaign launch, to come before 9am and bring along their identity card for verification purpose. The company wishes to inform that the donation is on a first come, first served basis and no representative is allowed to collect the ang pow and hamper on behalf of any senior citizen. Qualified senior citizens in other vicinities will be required to register on an earlier date before the distribution day. 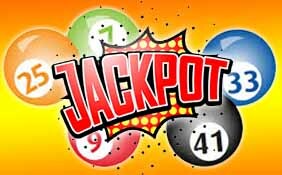 A 67-year-old chef from Kuala Lumpur turned multimillionaire on 2 March 2016 by winning the RM23.6 million Toto 4D Jackpot 1 with his old identity card(IC) number. The lucky winner, who came to collect his winnings two days later at the Sports Toto head office, said he had been buying numbers based on his old IC number - 1722 and 0420 for many years until he stopped. He only resumed betting the winning set of numbers when he found the number in his old documents recently. He added that he has been playing Sports Toto games for more than 20 years and he normally spends about RM20 a week on betting. "It's hard to believe that I only bet once and I won! My last big winning was in 1992 when I won RM16,000." "I was not sure how much I won, so I went to the outlet which I frequent and checked my ticket using the CheckWin machine. After I found out that I actually won a whopping RM23.6 million, I had a sleepless night," he told Sports Toto.